Columbus Free Press by Bob Fitrakis January 4, 2017 Jill Stein’s multi-state presidential recount was unprecedented. The idea originated from a group of computer scientists represented by attorney John Bonifaz, who after analyzing the U.S. computerized voting system found it to be vulnerable to hacking and manipulation. Social scientists and statisticians deemed some of the 2016 election results to be improbable. Election integrity volunteers and attorneys stepped up to help sort it out. 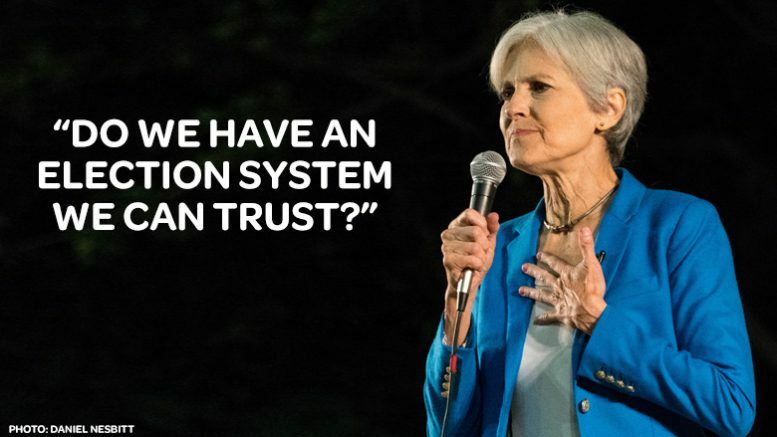 Jill Stein, Green Party presidential candidate, agreed to ask for recounts in three states: Wisconsin, Michigan and Pennsylvania. The donation page went online the afternoon before Thanksgiving….